That’s where this article comes in. It offers a crash course on fulfillment operations – without taking too much of your time or (hopefully) boring you to tears. We’ll explore the pitfalls and opportunities that exist within this function and provide insights that will help you control costs, increase customer satisfaction and ultimately, improve profits. To understand warehousing and the order fulfillment process, you first need to understand the macro trends that impact fulfillment decisions. In 2005, Amazon established the “new normal” for Ecommerce delivery speed. For a small annual fee, Amazon Prime members could get free, two-day delivery on millions of items. Many online buyers now want that same fast delivery speed for all their orders, which has major implications for the number of fulfillment locations in your distribution network and the level of transportation service you can afford. Unemployment is at a 17-year low and entry-level wages are increasing. People will leave one warehouse location for another for just a slight hourly increase. When Amazon moves in down the road it makes it even tougher to retain staff since Amazon’s competitive wages are indirectly underwritten by state or local tax incentives granted in exchange for job guarantees. Are you or your partner ready to manage a shipping and fulfillment labor force in this environment? Parcel delivery costs absorb about two-third of your total fulfillment budget, and these costs are rising. As more stuff is being bought online, parcel carriers are investing to increase delivery capacity to meet the demand – and you’re underwriting this investment with every shipment. As a busy entrepreneur, you can’t pay attention to everything. But you should pay attention to parcel shipping because it’s such a large cost driver. The warehouse vacancy rate in the U.S. is the lowest it’s been in 10 years, according to commercial real estate company, JLL. This is driving storage costs up across the board. Ecommerce warehouses require more space than a traditional B2B warehouse and most Etailers want to buy or rent this space close to major population centers, where costs are the highest. Bottom line: suitable warehouse space is hard to find and more expensive when you find it. Here are some facts and figures to aid your understanding of the current Ecommerce and fulfillment environment. Fulfillment costs as a percent of net sales average around 10%, with warehousing costs per order representing 3%–5%1 of that figure and shipping accounting for balance. Outbound freight costs are very dependent on product weight and shipping distance, so it’s hard to apply these averages across the board. The average “click-to-door” times for non-Amazon companies is about 5 days.4 This is on par with Amazon’s non-Prime shipping. According to an Alix Partners study, 83% of consumers are willing to wait 3 days or more for orders and 60% are willing to wait 5 days or more as long as it earns free shipping.5 Moral: cost still trumps speed for online buyers. Ecommerce logistics costs are increasing 18.7% annually while Ecommerce sales are anticipated to grow at 14.4%, according to Armstrong & Associates research report, Ecommerce Logistics in the United States. These numbers suggest a real need for cost control, which can be achieved with effective fulfillment pricing research. 25%–40% of online sales are returned in categories such as apparel, accessories and footwear, according to Forbes – 2 to 3 times the return rate of store purchases. To accomplish 2-day delivery, retailers that relied on 1-2 distribution centers now must have 5. How many warehouses does your business need? To help you determine this answer, keep scrolling. To keep your online business competitive, you may believe you need to match Amazon Prime’s free, 2-day delivery promise. Take our 6-question, yes-no test below. The more “yes” answers you have, the more likely it is that adding one or more fulfillment centers could be a smart move for your company. Do your customers insist on getting their deliveries within two-days or less? If so, then one centrally-located warehouse can’t fulfill these expectations for every U.S. region – unless you’re prepared to pay extra for premium shipping. Most customers are willing to wait on delivery if it saves them money. Is your product a commodity? If your product isn’t unique or doesn’t carry the cachet of a great brand, then delivery speed may be a competitive lever you need. Do you have a low SKU count? With a lower SKU count, it's less costly to spread inventory across multiple locations. The more SKUs, the higher the cost of facility expansion. Will the sales you gain or retain from adding facilities warrant the total cost of expansion? Profit must ultimately fund expansion costs. Is your business growing so fast that you simply need a bigger footprint? Where does your business stand on the evolutionary curve? If the pace of growth is putting a strain on your infrastructure, it’s time to expand. But don’t bite off more than you can chew. A lot happens between when the consumer hits the “buy now” button and when a package shows up at the door. Here’s a high-level overview of the steps. Screw up even one of these steps and the operational and financial repercussions could be significant. Inventory check. To signal whether the product is available, you want your shopping cart linked to your warehouse management system (WMS) and you want a very clear backorder process in place if the item is not in stock. Payment processing. Typically, this is handled internally. Order information flows to fulfillment center. If you outsource, the better fulfillment companies are already integrated with the top commerce platforms. Picking process design. Except for the smallest order volumes, you want a modern WMS system that directs workers to pick in the most efficient manner. Picking products. Methods vary from 100% manual to completely automated. There are costs and benefits to both, depending on your operation. Quality control. Here you make sure what was ordered is what is being shipped. In a radio-frequency-enabled environment, a simple bar code scan can alert you to discrepancies. Final packaging. Some brands may require special packaging. This labor-intensive task is handled at the fulfillment center and can create the customized experience premium brands want and need. Packout and labeling. Box taping and labeling could be done manually or by machines. Carrier Selection. This could be decided up front or the system could determine the carrier based on the weight and zone of the package. Order confirmation. Sent to both the retailer and the buyer. Make sure your system, or your partner’s system, can easily handle these notices, which should include a link to track the shipment. Etailers should be sure to have ample fulfillment systems in place that match the speed and reliability of their digital sales platforms. In our 30+ years in fulfillment management for B2C brands, we come across the same mistakes that undermine service quality and inflate logistics costs. Here are 5 we see quite often. How many apply to your operation? 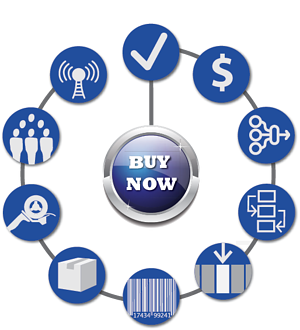 Manage B2C and B2B fulfillment in different facilities. Because the warehouse environment and picking processes are so different for B2B and B2C fulfillment, some companies find it easier to separate them. This creates redundant infrastructures that drive up space, labor, inventory and administrative costs. Failure to efficiently scale fulfillment operations. Etailers make a couple of mistakes in this area. Before products gain traction in the market, they may decide to handle the order fulfillment process themselves or work with a single-location, mom-and-pop fulfillment partner. When volume spikes, there is no time to react and you end up disappointing new customers with late or incorrect orders. Well-funded start-ups go in the opposite direction, investing to build an elaborate logistics infrastructure that’s not yet needed. Outsourcing to a 3PL creates a flexible fulfillment solution that can grow as you grow. And fulfillment costs are easier to explain to lenders since these costs become a predictable percent of sales. Paying too much for parcel shipping. Too many Etailers view parcel shipping as a commoditized cost of doing business that they have a limited ability to influence. That’s a mistake. There are many cost-saving, profit-improving strategies you can use to control this largest component of your fulfillment costs. Assuming that you don’t need a warehouse management system. It’s possible to get by with a highly-manual approach when your business is just starting out. But as sales grow, this approach will lead to inventory and accuracy problems that could threaten the business. Not constructing clear outsourcing agreements. Outsourcing agreements fail most often because the buyer’s expectations were not clear up front. This is very relevant in the Ecommerce fulfillment space since so many Etailers rely on third-party logistics providers (3PLs). A carefully constructed Scope of Work document is essential. Take the time, up front, to align with your provider on the objectives of the project, performance expectations, costs, and timelines. These are some of the bigger warehousing and fulfillment mistakes Etailers make. The next few sections address opportunities specific to the three core fulfillment processes: picking, packaging and shipping. As an owner or senior leader at an Ecommerce business, you don’t need to be an expert in warehouse picking processes. But a general understanding does help. Inside the warehouse, your largest expense is labor, so your worst enemy is travel time, which can comprise as much as 50% of total order picking process. The more time it takes associates to find and retrieve products for an order, the more those labor costs cut into profit. In a non-automated warehouse, associates can walk 5–10 miles a day. Voice Picking. Associates wearing headsets interact with a computer. They speak their location in the picking area and the computer speaks back, assigning orders and what products and volumes are required for each order. This video illustrates voice picking in action. Pick to Light. Here associates scan a bar code for an order on a picking container and they are directed to pick items from certain bins. A light above the relevant product bins illuminates with a quantity to pick. The order is complete when all the lights go out. Many Ecommerce companies don’t want to invest heavily in fulfillment software and systems, so they outsource to a 3PL that invests in leading-edge systems and spreads the cost across multiple clients. Discrete order picking. One order picker picks one order and one line at a time. Orders are not scheduled, so they can be picked at any time. Simple. Ideal for paper-based environment. Least efficient method with lots of travel time. Zone picking. Order pickers pick only products physically in their zones. Orders pass through multiple zones to be completed. Limits travel time. Batch picking. One picker picks a batch of similar orders at the same time. Efficient for multiple orders with same SKUs. Reduces travel time. Helps to have a WMS that can analyze and segregate similar orders. Cluster picking. Picking multiple orders into multiple order containers at one time. One cart has multiple totes and picker makes one pass through the pick zone to complete multiple orders, thereby reducing travel time. Wave picking. Similar to discrete order picking in that one picker picks one order, one SKU at a time. However, with wave picking there is a specific time window. Orders with specific profiles are picked during specific times of the day to coordinate and maximize picking and shipping efficiency. Companies may rely on one or a combination of these techniques. Packaging can have significant implications for the customer experience – and your bottom line. An Ecommerce packaging study by Shorr Packaging found that online buyers who spend at least $200 per month are 44% more likely to make a repeat purchase based on the way the product is packaged and presented. As a rule, the more you customize the packaging, the greater the fulfillment costs – in material and labor. Most customer complaints related to packaging concern boxes that are hard to open. Have you done a “secret shopper” exercise lately on your Ecommerce website? Try it and assess your own experience with your company’s packaging. What size boxes should you use? It may seem like a small decision, but if you are a large volume shipper a little focus here can save you literally hundreds of thousands of dollars in bottom-line savings. No lie. Shipping costs have historically been calculated based on actual package weight. But parcel carriers recognized that they were losing money on larger, lighter-weight packages that ate up truck space, so they instituted dimensional weight, or dim weight, pricing – essentially what carriers think the package should weigh given its size at minimum density. If your box is larger than needed, this price calculation has you paying more when you ship air. Does your product actually have to be sent out in a box? If the product isn’t fragile or your customers don’t require an elaborate unboxing experience, the use of alternative forms of packaging such as polybags can make sense. They usually allow your company to reduce the weight of each package by a few ounces while still accommodating and protecting your products. That could help you significantly reduce shipping costs. 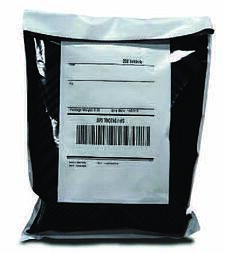 Polybags can also reduce labor costs because bagging machines can perform activities like label printing, label application, and package sealing. Why do parcel shipping costs seem to go up every year? Meet UPS, FedEx, DHL and the United States Postal Service (USPS). At the moment, they’re not just the industry’s largest parcel delivery companies, they’re its ONLY parcel delivery companies. This means you have no choice but to use their services – and to continue shipping with them no matter how often they announce another price increase or costly change in policy. That wouldn’t be a problem if parcel shipping costs represented a small portion of your order fulfillment process and delivery expense. However, in most cases, these costs are responsible for about two-thirds of your fulfillment budget. 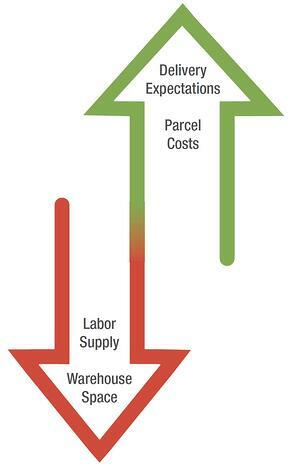 Check out this comprehensive blog on how to reduce your parcel freight costs. Here are a few of its most heavy-hitting suggestions. Align with a 3PL to Secure 10%–40% Lower Parcel Rates. Because 3PLs handle large volumes of business from multiple customers, they should have a higher aggregate parcel shipping spend and can leverage this volume to negotiate better rates than your company could get on its own. FedEx and UPS actually have their own parcel consolidation programs called SurePost (UPS) and SmartPost (FedEx) that leverage the USPS for the last mile, thus avoiding the steep residential delivery surcharges for each home delivery. If you’ve been working with the top two parcel carriers for the last few years, it may be time to consider alternatives in your quest for higher quality and lower prices. Don’t be afraid to put your contract out on the open market and shop around a bit for a better deal. Certainly during the early stages of growth, when order volumes are low, it may make more sense to manage fulfillment in-house. This allows you to establish a confident baseline on which to make future fulfillment decisions, with actual data on things like demand patterns for specific SKUs, seasonality, and historic performance metrics. But as your business grows from a few orders a day to hundreds, you’ll need to decide whether you want to make fulfillment a core competency and commit the required resources to make that happen. Here’s a list of PROs and CONs to fulfillment outsourcing (Full Disclosure: we’re a little biased). Fulfillment is big business and there are thousands of fulfillment companies to choose from. You may first want to determine what category of provider best suits your business. From there it becomes easier to narrow the choices. Good for businesses wanting a one-stop shop for international fulfillment. For many of these multi-billion dollar, mega 3PLs, Ecommerce is not a specialty. Also, what you gain in size and scale you may lose in personal service. Typically have many locations across the U.S. for easy scalability. But you may be a small fish in a big pond and not get the attention your business deserves. Provide scale nationally but with a more customized solution and personalized level of service than larger players. May have limited scale, globally. Highly-personalized service, particularly if you are one of the provider’s largest customers. But you may outgrow them quickly if they don’t have the systems and infrastructure to support higher order volumes. For Amazon orders, guaranteed 2-day delivery to Amazon Prime members. Easy fulfillment solution for Amazon sellers, but FBA has its limitations. FBA is Amazon’s fulfillment services arm. With 122 fulfillment centers6, and about 100 million square feet of space in the U.S. alone, FBA is a huge and expanding fulfillment services juggernaut. But is it right for your business? Here are some FBA limitations you should understand. High storage rates. Someone has to pay for Amazon’s huge and highly mechanized warehouse network. Now you know who. And Amazon charges more for items that have been stored longer than 6 months. Seasonal price increases. It costs 3–4 times more to store items with FBA between October and December, which makes it more difficult for your business to maximize profits during this critical time. No customer branding. Your product will be shipped in Amazon packaging with Amazon branding (unless you pay extra to ship in a plain brown box). Little to no customization of outbound shipments is possible. Business owners choose Amazon for fulfillment because it’s a quick, easy and safe choice. But before you pull up to the fast food window, know that there are options to fulfill Amazon orders that are cost effective and allow near unlimited customization. Is It Just Us, Or Do You Look Smarter? Congratulations on reaching the finish line. You’re not a fulfillment expert, but hopefully you have a better sense of the strategic importance of the order fulfillment process and how, as an owner or senior leader for an Ecommerce business, you can shape your company’s fulfillment choices. These days online sellers achieve differentiation based not so much on products but on the overall customer experience, including the speed and accuracy of fulfillment. Going forward, success will depend, more and more, on what happens AFTER the click.